This week I came across a devotional that really touched me and seemed to continue in the same thought as my message last Sunday. * It comes from a daily email devotional by Fr. Richard Rohr. I thought it best to share it in full. * Note: Eucharist is the same as Communion or the Lord’s Supper. In my message last Sunday I applied my equation of Proximity + Process = Presence to Eucharist. At the Lord’s table we draw near to God (proximity), expecting to be changed through healing, forgiveness, salvation (process), and thus experience God (presence). Fr. Richard describes an aspect of how this works. Eucharist is presence encountering presence-mutuality, vulnerability. There is nothing to prove, to protect, or to sell. It feels so empty, simple, and harmless, that all you can do is be present. In most of Christian history we instead tried to “understand” and explain presence. As if we could. The Eucharist is telling us that God is the food and all we have to do is provide the hunger. Somehow we have to make sure that each day we are hungry, that there’s room inside of us for another presence. If you are filled with your own opinions, ideas, righteousness, superiority, or sufficiency, you are a world unto yourself and there is no room for “another.” Despite all our attempts to define who is worthy and who is not worthy to receive communion, our only ticket or prerequisite for coming to Eucharist is hunger. And most often sinners are much hungrier than the so-called saints. 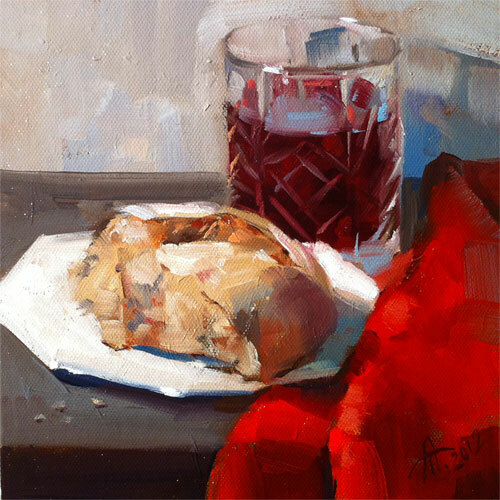 This entry was posted in Uncategorized and tagged Eucharist, grace, presence, process on August 13, 2013 by Brook Fonceca.